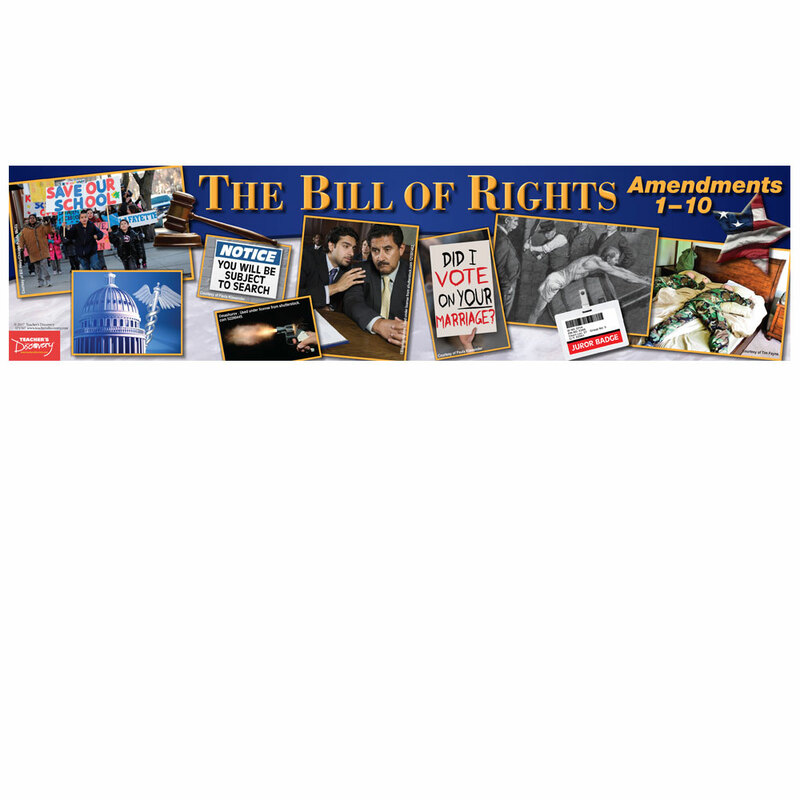 Display the first 10 amendments to the Bill of Rights in your classroom! 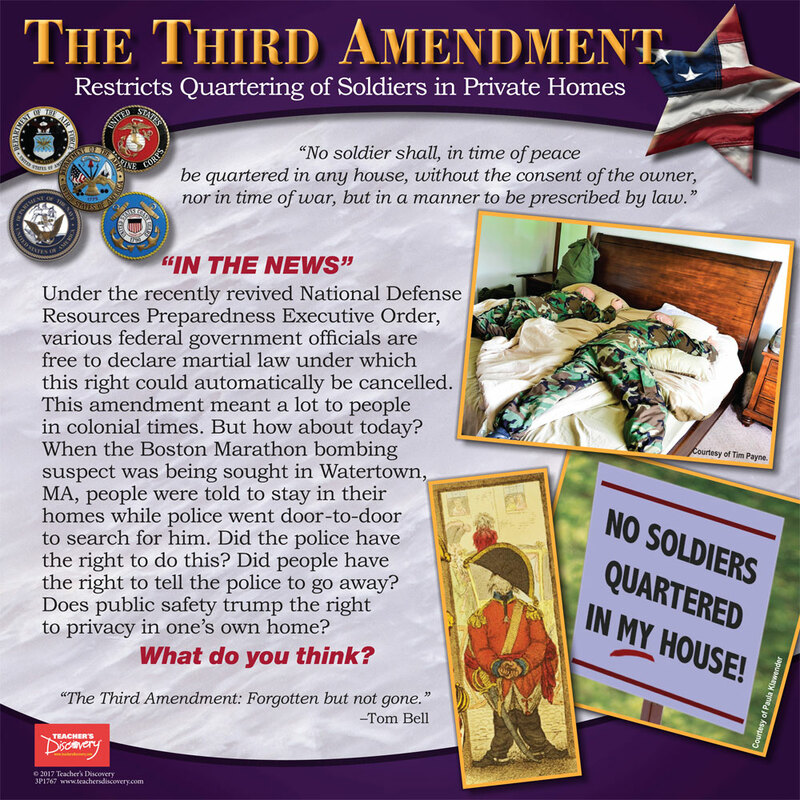 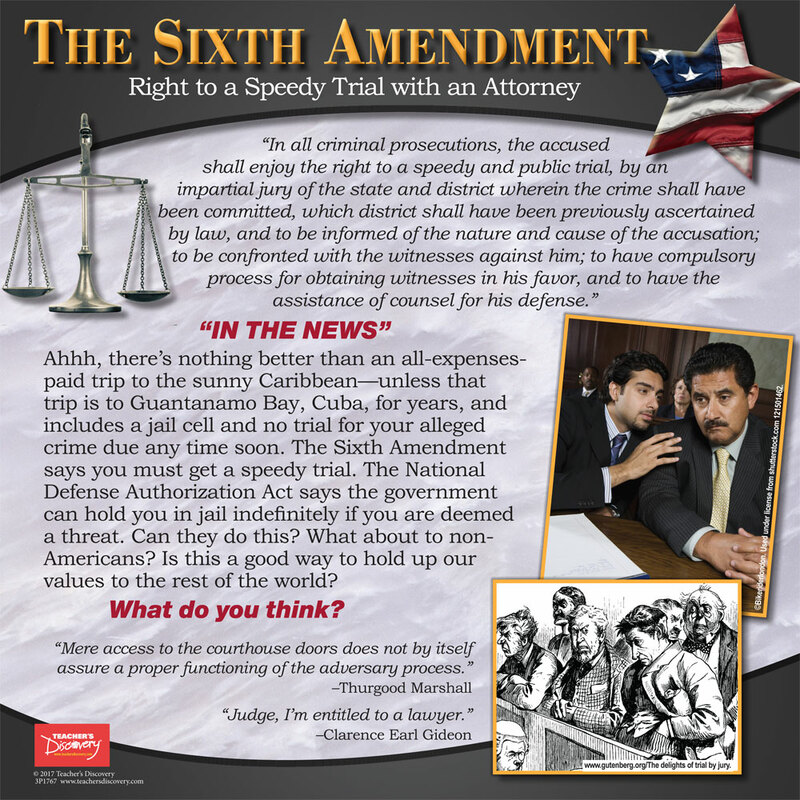 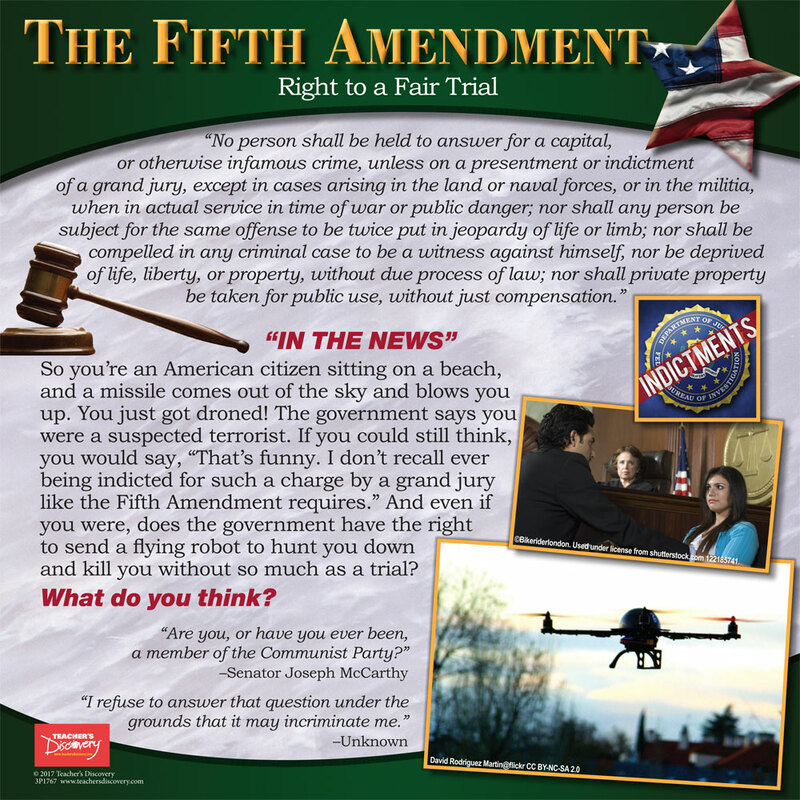 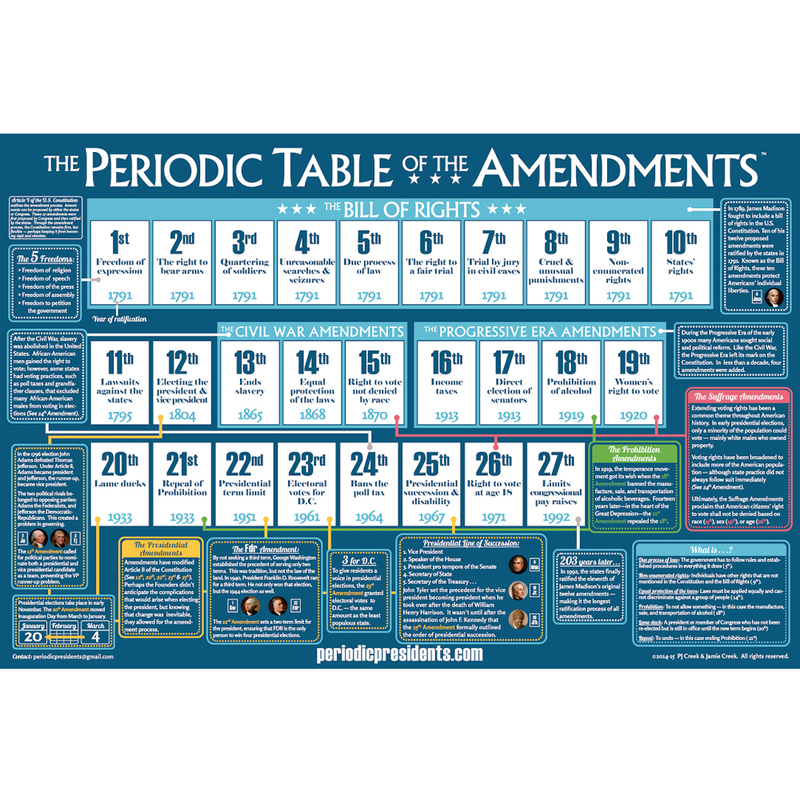 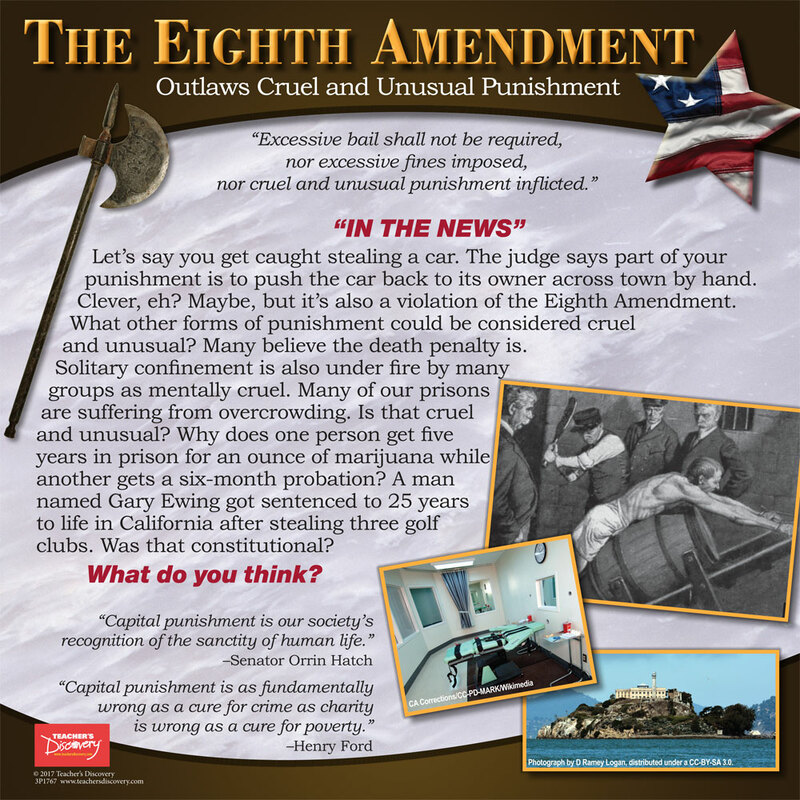 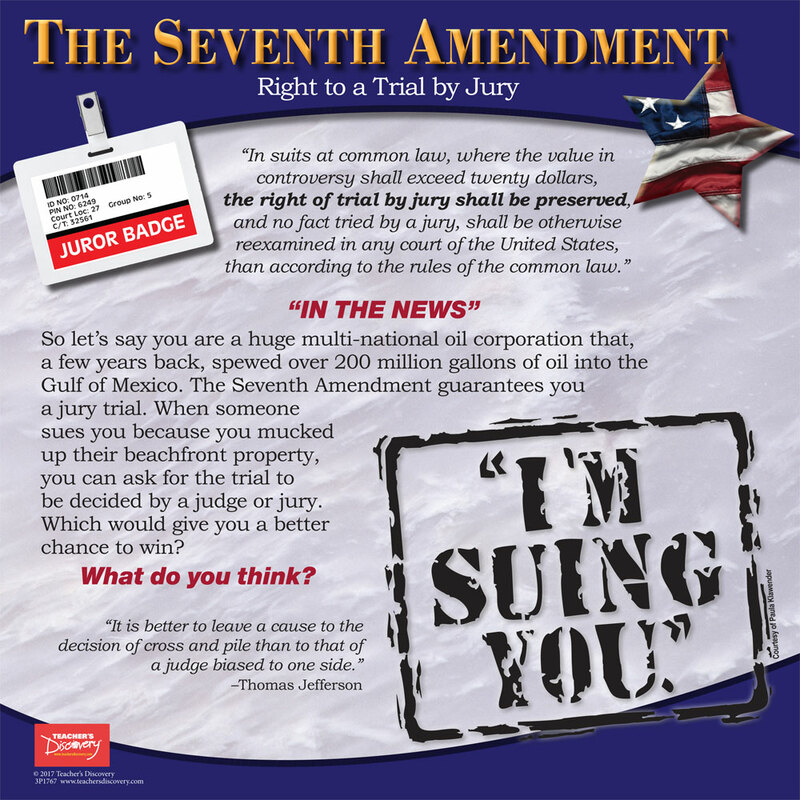 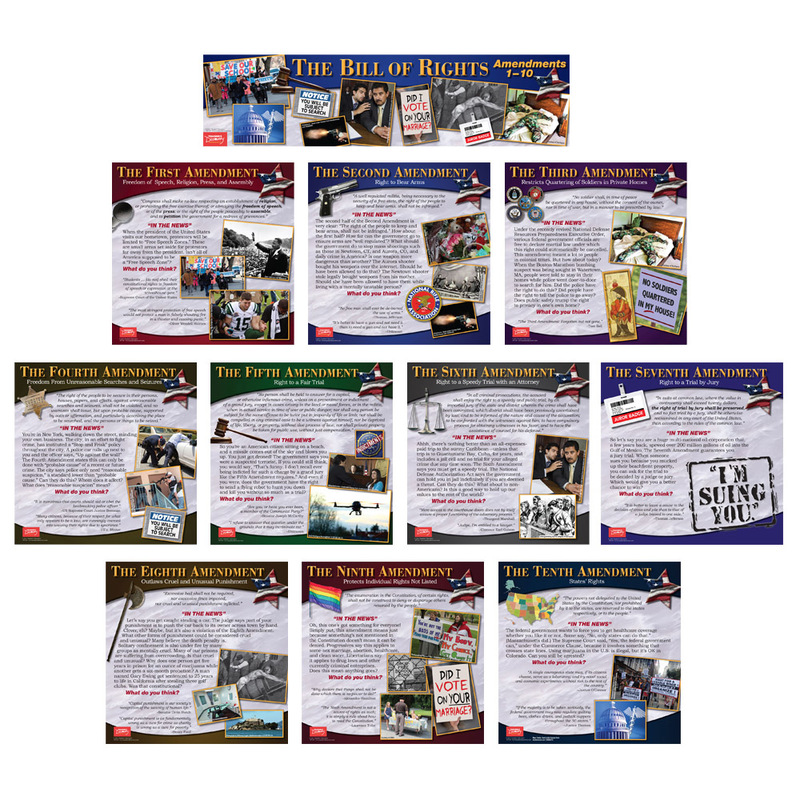 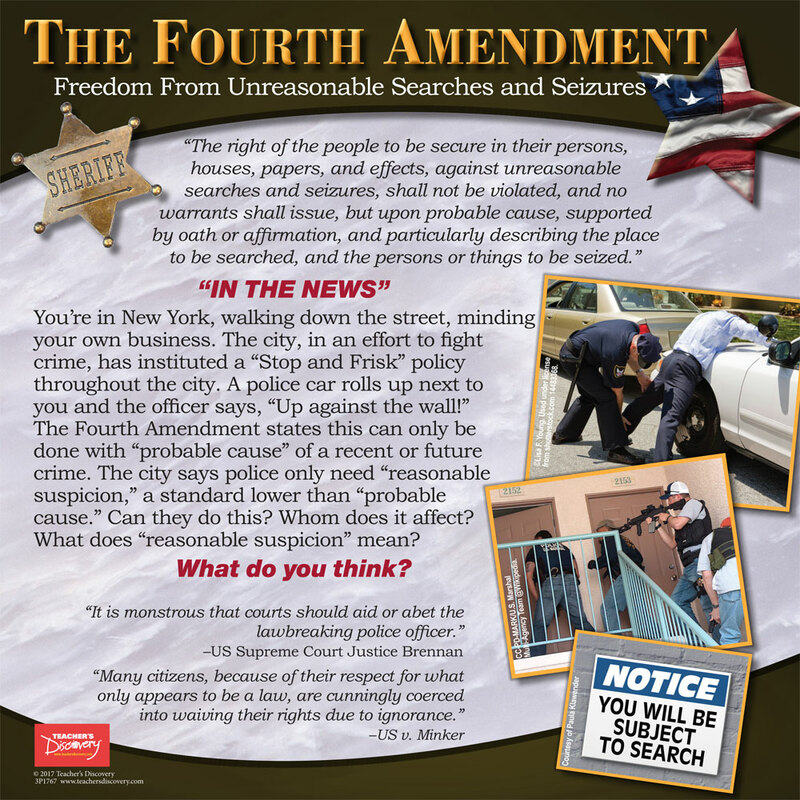 Introduce each of the first ten amendments in the Bill of Rights with this set of 10 posters and topic banner. 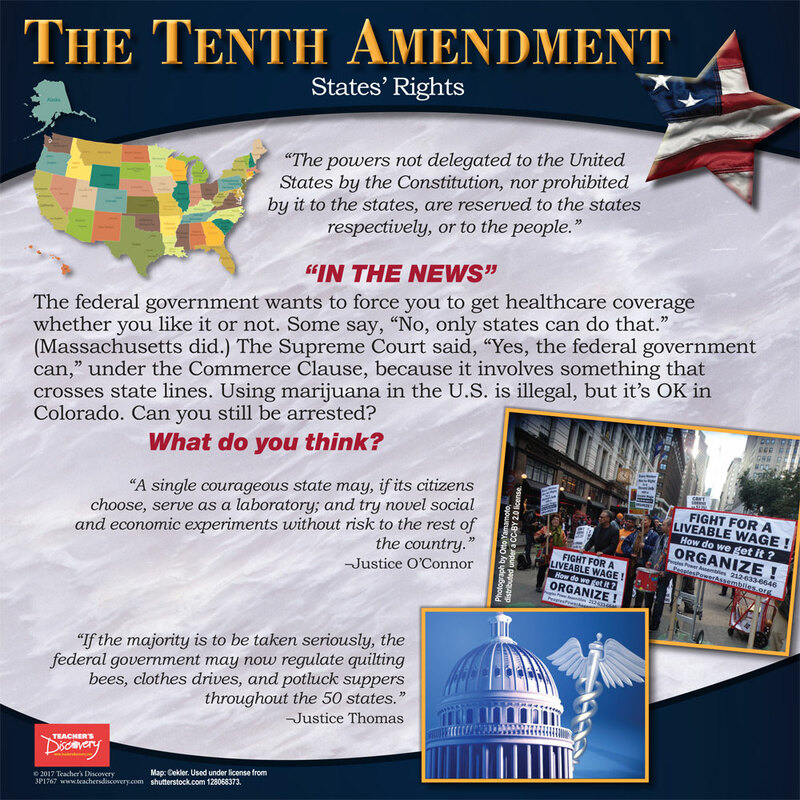 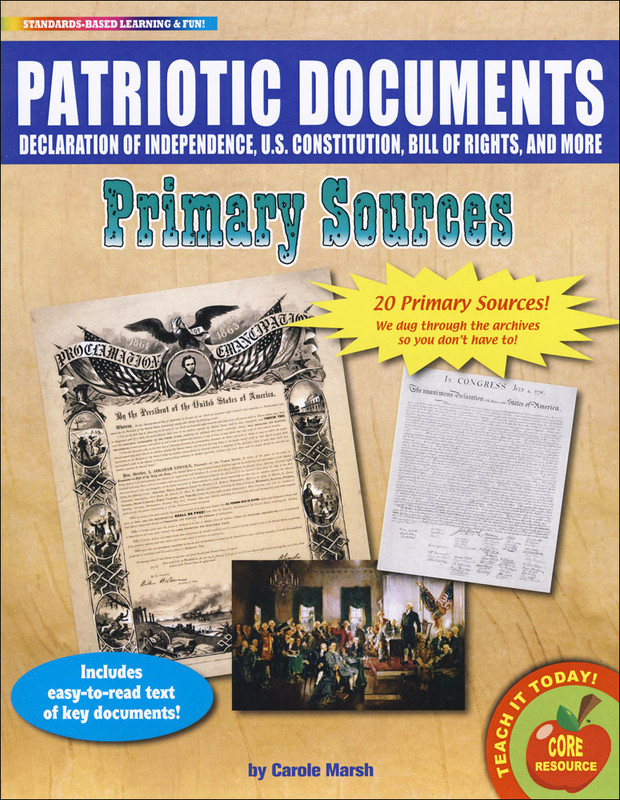 Promote a deeper understanding of the first 10 amendments that our country was built upon by sparking student discussions, classroom debates and interesting conversations. 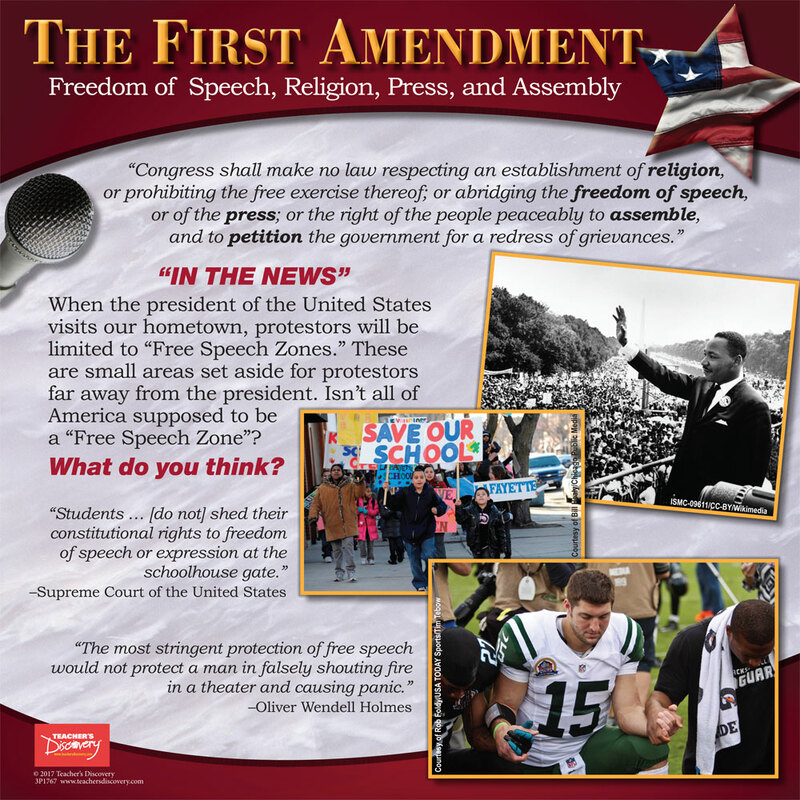 Provide a visual connection for our high school students in a way that will connect them to the past while linking it to the present. 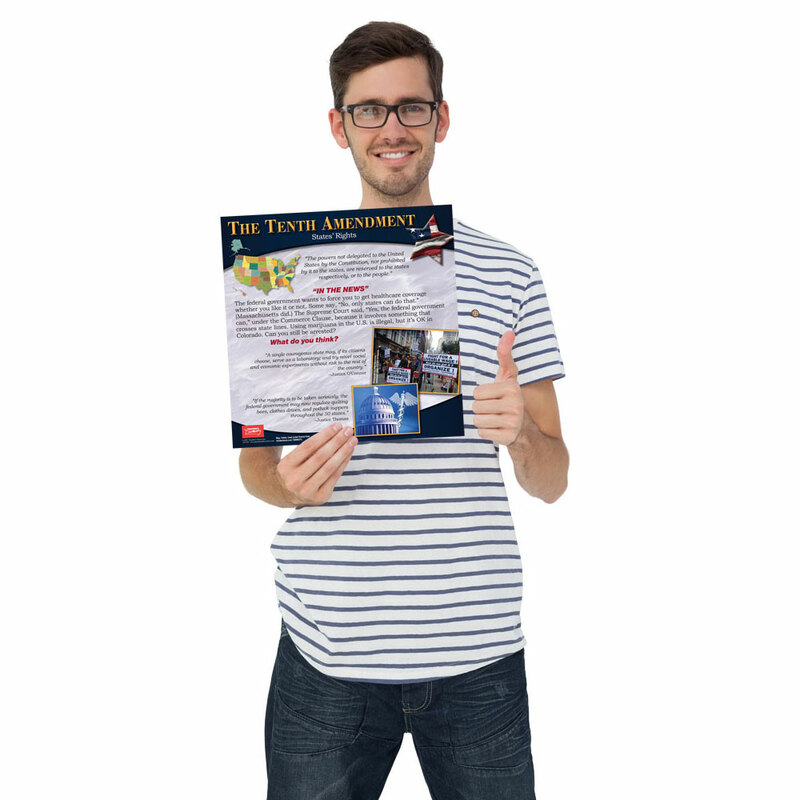 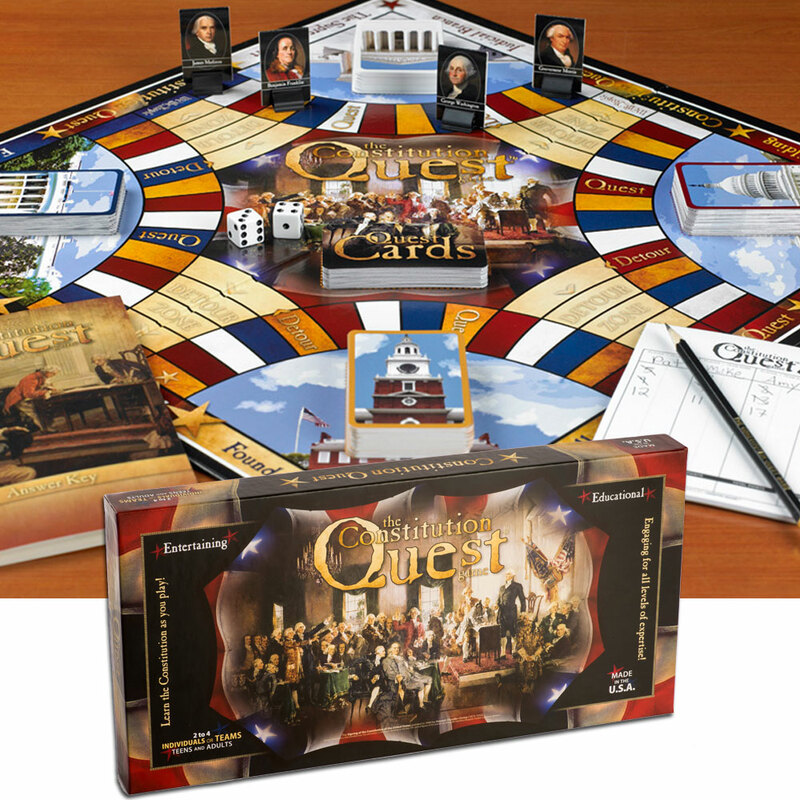 Includes a free downloadable Teachable Moments activity guide.  ©2014, Teacher's Discovery. 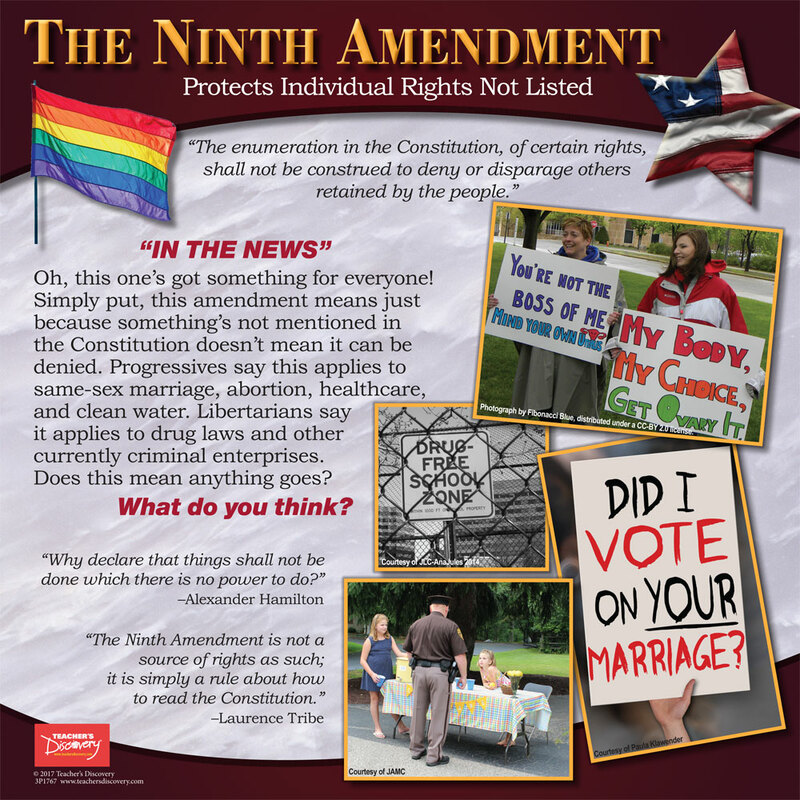 Ten 12 x 12 inch posters, and one 6 x 24 inch topic banner. 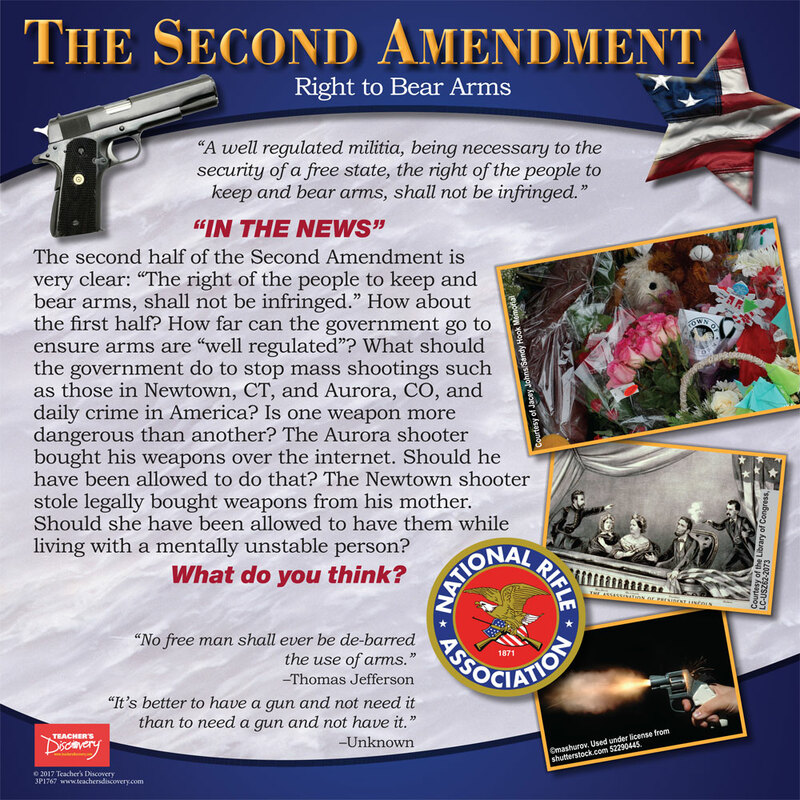 Printed on glossy card stock.  High school level.